If we go out for dinner or lunch and my kids ask for chicken nuggets, it makes my toes curl. I really don’t like them eating the super processed ones, but they do seem to really love them. For me, fast food nuggets belong firmly in the category of ‘wouldn’t eat them if you paid me!’. But my revulsion aside, the kids love them …. So I was determined to make some home-made ones for them that snuck in a bit of extra goodness on the side. 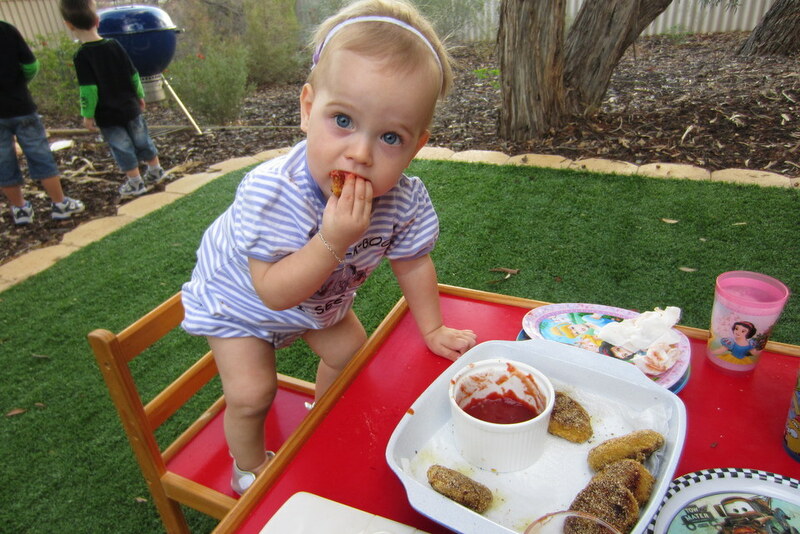 These ones are packed with veggies but my kids don’t notice in the slightest – Mummy win!! Add in chicken thighs, one at a time through the top chute on to spinning blades then process until chicken is totally minced and mix is quite smooth (speed 5 whilst adding the chicken, then up to speed 6 for 10 secs at a time, scrape down in between). Mix together the crumbs, flour, salt and other tbsp of nutritional yeast. Take a heaped tsp of the chicken mix, roll it in the dry mix and press down into a lined baking tray. Spray lightly with olive oil. Place into a pre heated 200C oven for 20 mins. 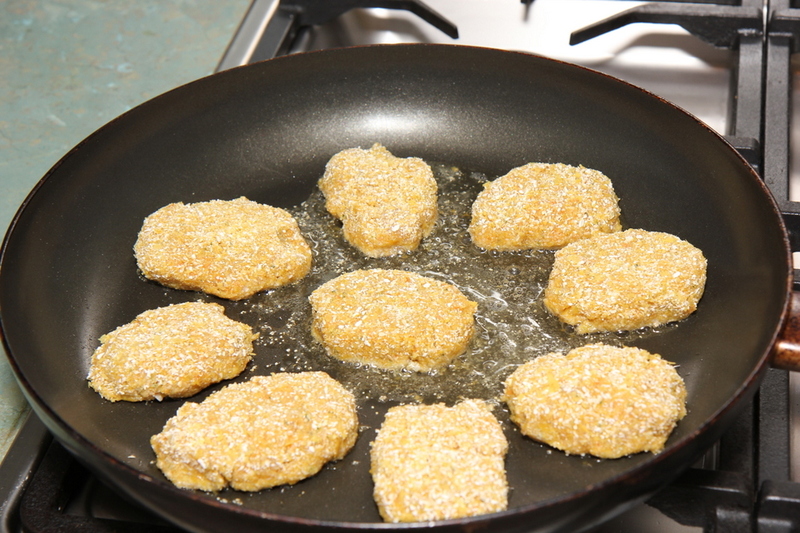 Turn the nuggets and return to that oven for a further 7-8 minutes or until golden and cooked through. 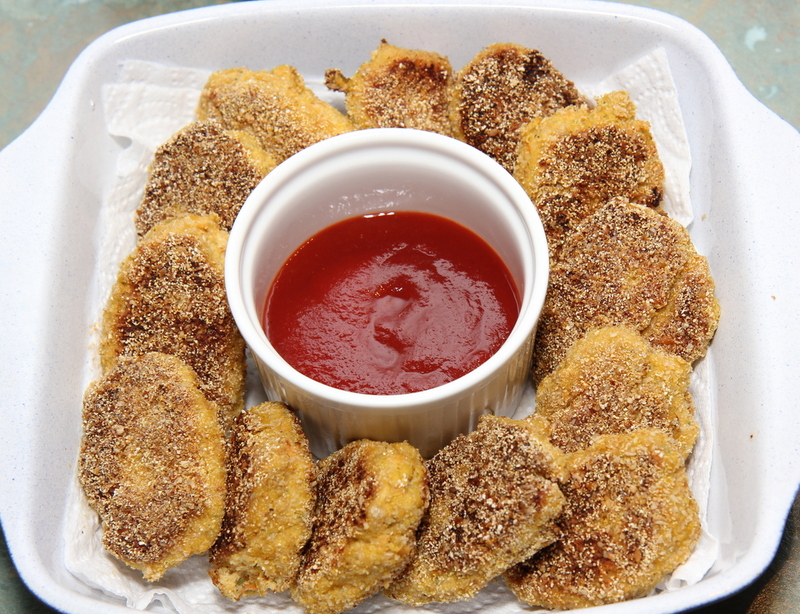 Nuggets and sauce for dinner at home?! My children were thrilled! I cook in bulk as often as I can, in order to have meals to freeze, so I often make a double batch. I sometimes make them bigger than the store bought ones too by using a dessert-spoonful of the mix – and tell the kids that they are ‘Monster Nuggets’. If I don’t have time to cook them all, I freeze half of the meat mix to defrost and crumb next time there is a nugget demand! The left overs also re-heated well for lunch the next day. She snuck back to get into the left overs while the boys weren’t watching!